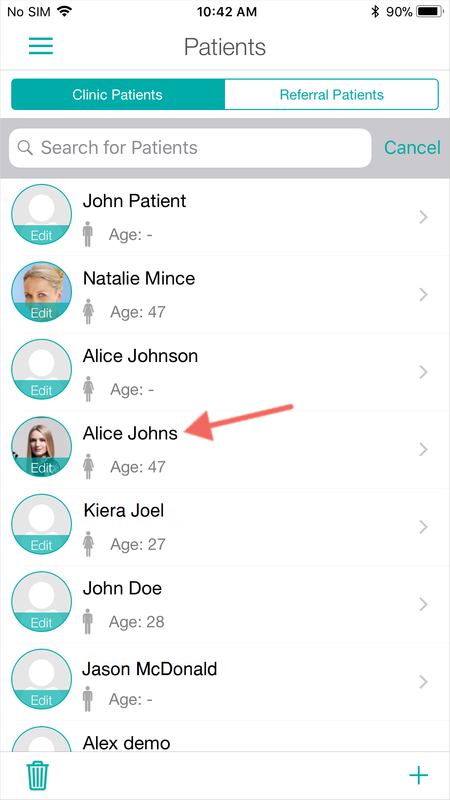 Locate to spot you wish to add images to from the Spot List on the left side. To learn how to add a spot, click here. Click the Upload Image button to upload overview and dermoscopic images with one of three methods. Switch to the From Quick Snap tab. 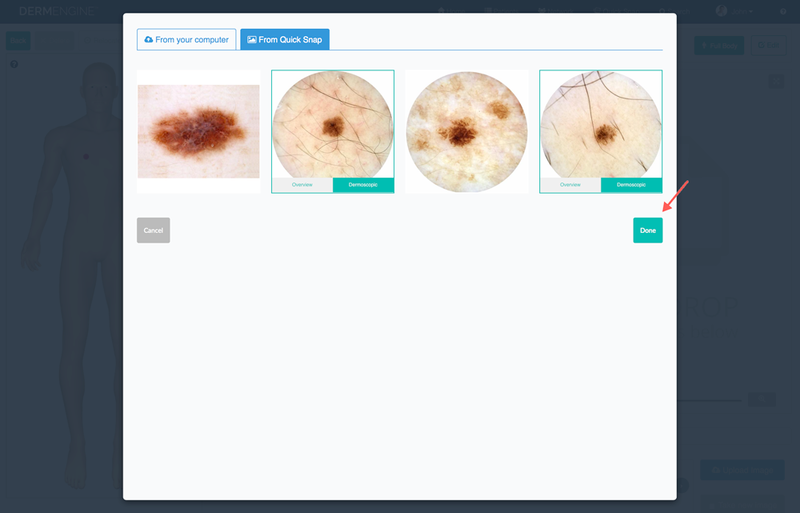 Choose any photos you would like to upload, and select whether they are Overview or Dermoscopic. then select Done. Select one or more of the available images in your Quick Snap folder and select Done. Select the From Camera tab. Choose which camera you would like to use from your computer. Capture any images you wish to take and click Done. 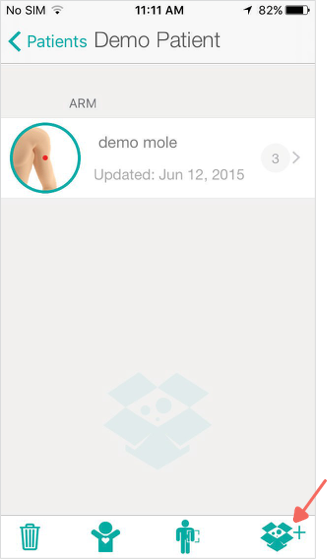 Place the mole on the Body Map and tap Next. 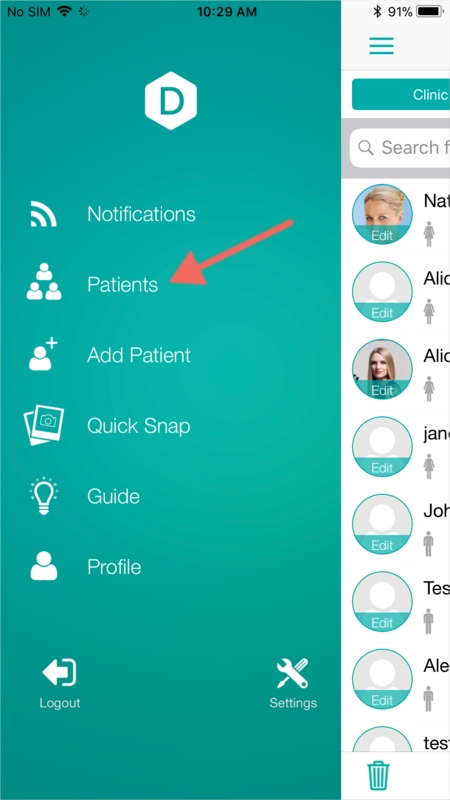 From your patient's profile you can add overview images by selecting the phone icon. Here, you have the option of capturing images directly with your camera or from your phone's library. To capture an image tap the "camera" icon. You will notice a second camera icon on the screen, which can be dragged around based on your preference. 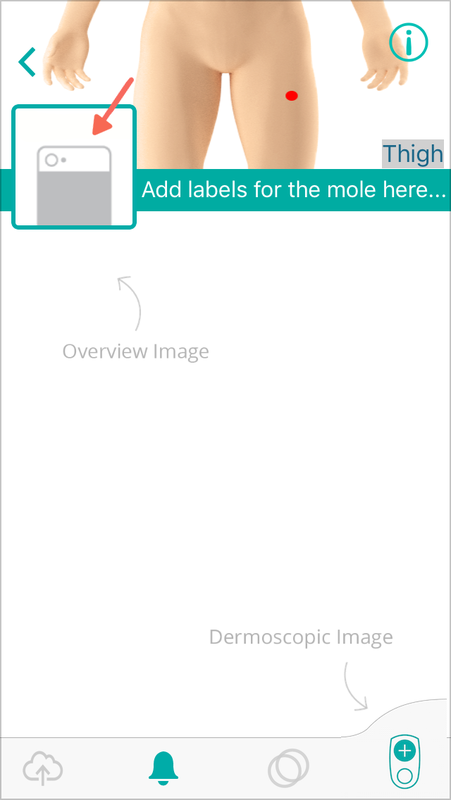 Alternatively, to retrieve a previously taken image, tap the Library icon and select your desired image. 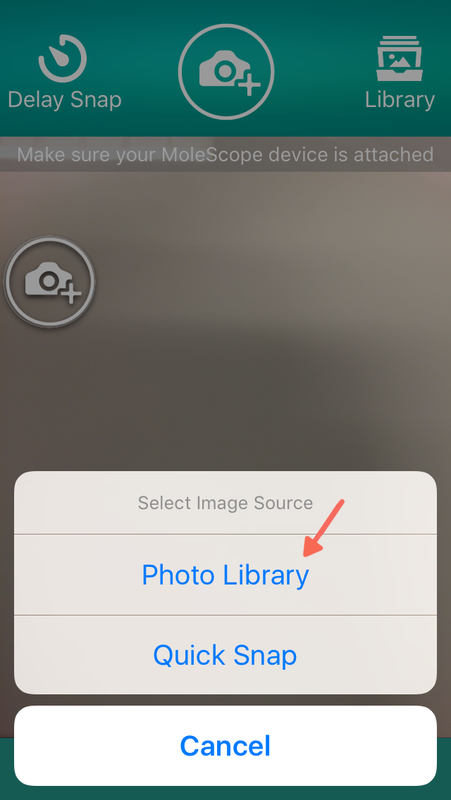 You will have the option of cropping the photo, or retaking the image by selecting the camera icon. When ready tap the check mark. To add dermoscopic images, tap the dermoscope icon in the bottom right corner. Ensure your MoleScope or other mobile dermoscope is securely attached to your phone. To capture a new image, tap the camera icon. You will notice a second camera icon on the screen, which can be tapped and dragged around based on your preference. 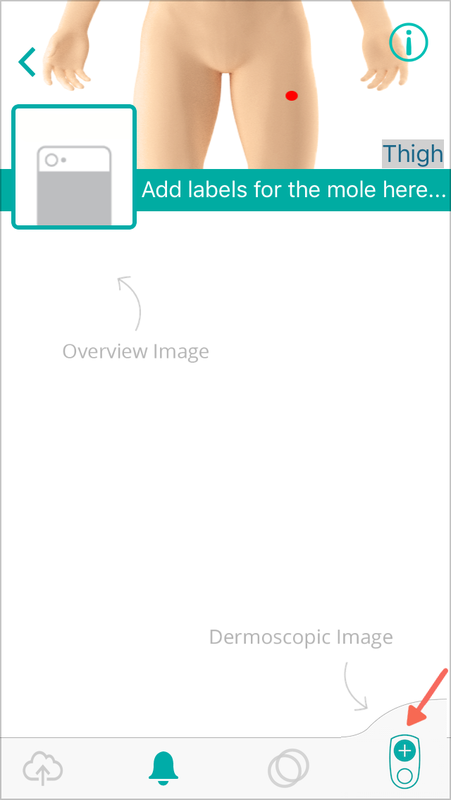 Alternatively, if you would like to retrieve a previously taken dermoscopic image from your phone's gallery or QuickSnap, tap the Library icon. Based on your preference, select your phone's photo library or QuickSnap to access your previously unassigned images within DermEngine. To learn how to add images to Quick Snap, click here. 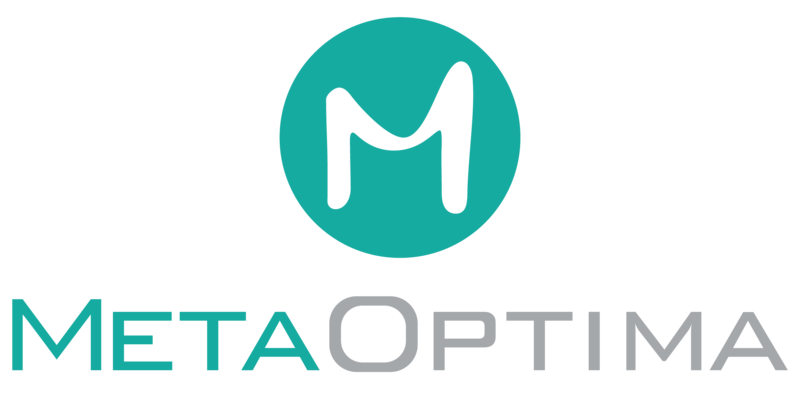 You will have the option of cropping the photo, or retaking the image by selecting the icon. When ready tap the check mark. Ensure your MoleScope or other mobile dermoscope is securely attached to your phone. To capture a new image, tap the camera icon. To learn how to add images to Quick Snap, click here.